Welcome to March. Spring is just around the corner as the daffodils in my garden are out in full display. We haven't had that much of a winter in the UK this year but I am still glad to see the first sights of spring especially as I almost turned into a human popsicle last weekend. Weather report over. So what did I read? 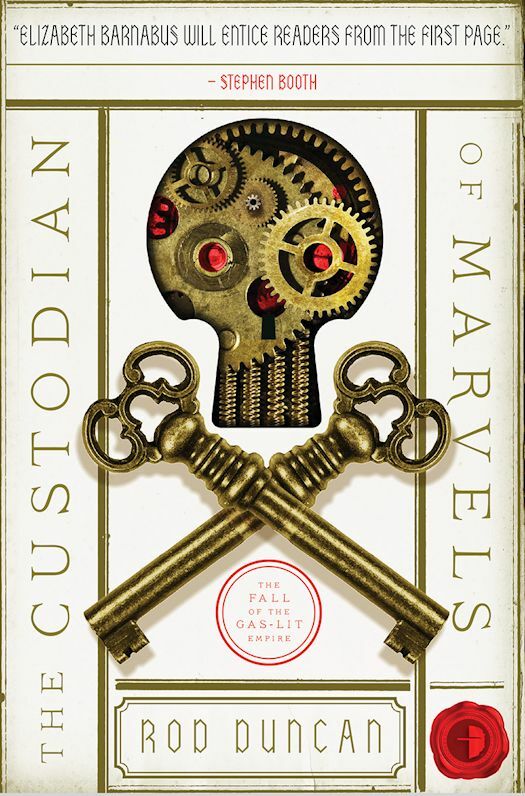 I have saved the best for last with Rod Duncan's The Custodian of Marvels which is the final instalment of The Fall of the Gas-Lit Empire. 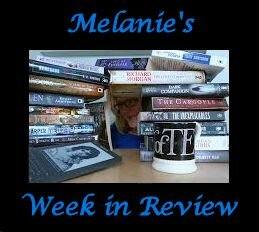 In my last two WIRs I reviewed books 1 and 2 (here and here). I thoroughly enjoyed this series and this final book was no different. Thank you to publisher for approving this request via NetGalley. I would never had discovered this fantastic series otherwise. Again, Duncan mixes it up and teams Elizabeth with her one time enemy from the circus performers in book 1. They have teamed up to do the impossible - to break into the impenetrable Patent Court to steal a weapon. Elizabeth however, has an ulterior motive for agreeing to this heist. She wants to find evidence that the Duke has done the same thing to other families as he did to hers and she is certain it is hidden in the bowels of the Patent Office. While the plotting and planning of the heist was great to read it is what Elizabeth discovers while inside that is the real start of the plot. Duncan has a great imagination and ability to build tension as craftily as he develops his characters. This was a excellent conclusion to Elizabeth's story and has put Duncan right up there with one of my new favourite authors. 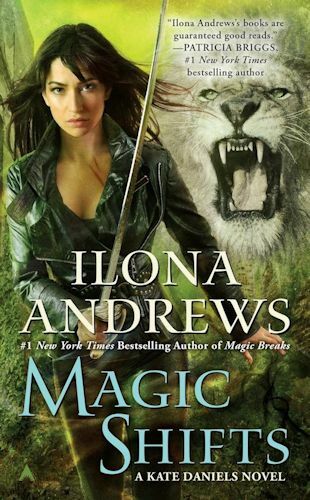 Despite being a big fan of the Kate Daniels series I only just bought and read Magic Shifts. I generally refuse to pay more than £6 for a Kindle book and when it was listed at £9.99 I decided to wait. Boy did I get that wrong. As the release of the paperback approached the price increased to £13.99. I was then stuck and ended up buying the paperback.. One of my fellow reviewers Doreen has already reviewed Magic Shifts so check it out. I thought it was OK. I wasn't wowed but didn't dislike it either. What I have a problem with...and this doesn't just relate to this series...is that I get bored when the heroine almost dies every book. I got very disillusioned with Patricia Brigg's Mercy Thompson series for the very same reason. I feel that the Kate Daniels series are falling too much into a formulae in recent books - Big Baddy fights with Kate, Kate moons over Curran, friends or family are in danger, gets beaten up, super battle, almost dies, survives surmountable odds, lives to thwart her father another day. I hope the next book mixes it up a bit. That is it for me this week. I hope you find something enjoyable to read. Fingers crossed I have more to tell you about next week but until then Happy Reading. The eighth Kate Daniels novel from the #1 New York Times bestselling author who “defines urban fantasy” (Fresh Fiction).